DETROIT – The American Civil Liberties Union and MergerWatch today released reports that reveal that one in six hospital beds in the United States is in a facility that complies with the Catholic Directives that prohibit a range of health care services even when a woman’s life or health is in jeopardy. In some states, more than 40 percent of all hospital beds are in a Catholic facility, leaving entire regions without any option for certain reproductive health care. 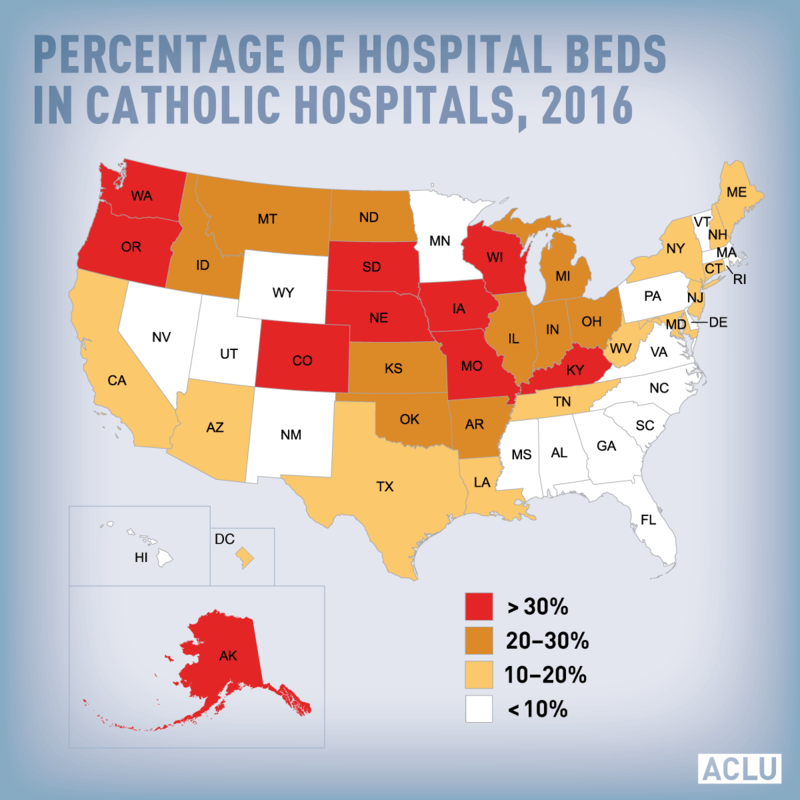 The ACLU’s report shares firsthand accounts from patients who have been denied appropriate care at Catholic hospitals, from health care providers forbidden from providing critical care because of the Directives, and from physicians at secular hospitals who have treated very sick women after they were turned away from a Catholic facility. The report also highlights Michigan, which has 5,057 Catholic hospital beds, accounting for 24.4 percent of all hospital beds in the state. Read the full ACLU report. The case of Muskegon resident Tamesha Means offers a frightening example of how the Directives can pose health risks to women. In 2010, Means rushed to Mercy Health Partners when her water broke after only 18 weeks of pregnancy. The hospital, which was the only one in Muskegon County, sent her home twice even though she was in excruciating pain. Because of its Catholic affiliation and binding directives, the hospital told Means that there was nothing it could do, and it did not tell Means that terminating her pregnancy was an option and the safest course for her condition. When Means returned to the hospital in extreme distress and with an infection, the hospital prepared to send her home for a third time. While staff prepared her discharge paperwork, she began to deliver. Only then did the hospital begin tending to Means’ miscarriage. Similarly, Catholic-affiliated Genesys Regional Medical Center in Grand Blanc refused in 2015 to permit Jessica Mann, a pregnant woman with a brain tumor, to undergo a tubal ligation despite her doctor’s warning that a subsequent pregnancy could kill her. “A hospital policy like the Directives that limits what physicians can tell and offer our patients and prohibits us from providing our patients with the best possible care is extremely dangerous,” said Timothy Johnson MD FACOG, chairperson of OB/GYN at University of Michigan. The ACLU and MergerWatch are at the forefront of the fight to ensure that hospitals cannot deny essential health care to women because of their religious affiliations. 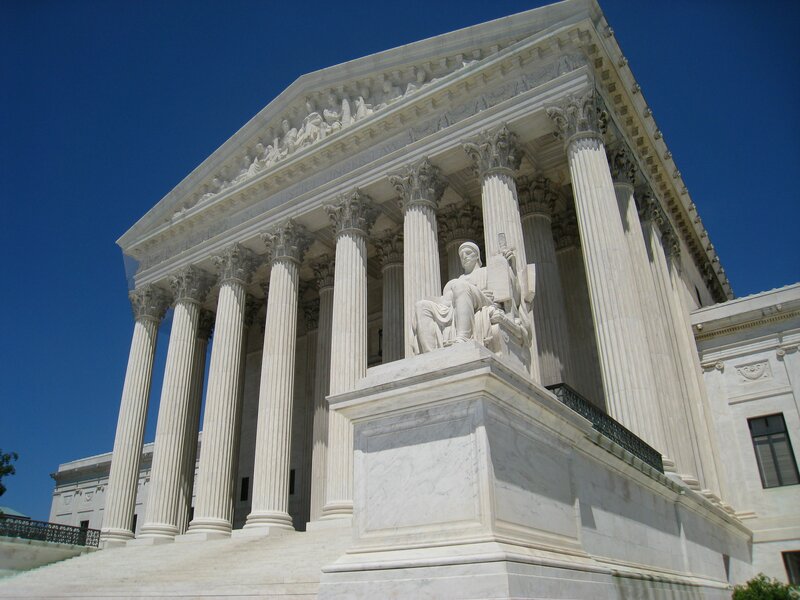 For instance, the ACLU has filed lawsuits against hospital system giants, including Trinity Health in Michigan and Dignity Health in California, for violating federal law requiring the provision of emergency health care and for discriminating against women; against the U.S. Conference of Catholic Bishops for imposing the Directives on Catholic hospitals; and a lawsuit against the U.S. government for allowing the U.S. Conference of Catholic Bishops to deny reproductive health care access to survivors of human trafficking. Read the full ACLU report that features testimony from medical experts and personal stories from women who were denied care at Catholic hospitals. Also, learn more about the MergerWatch report's findings on Catholic Hospitals.